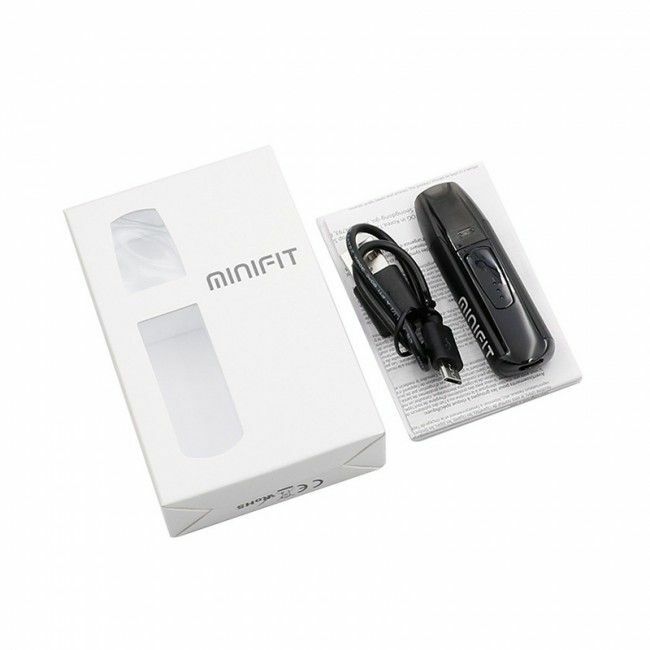 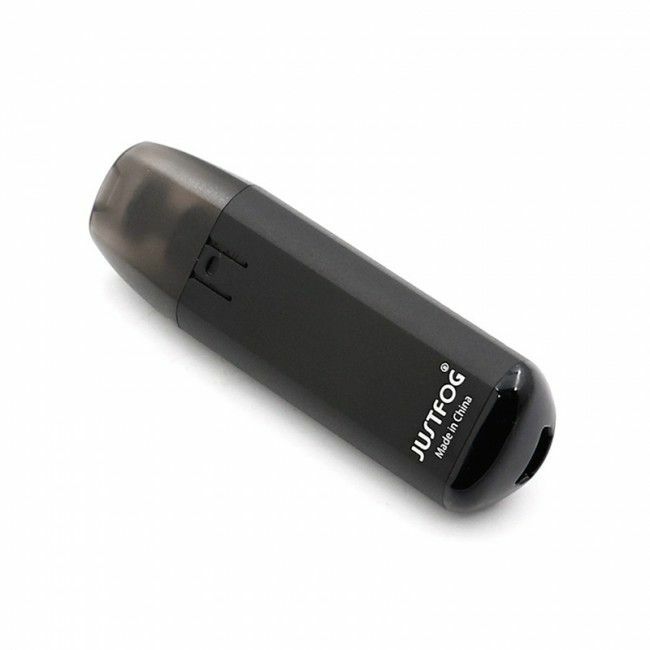 The Minifit Starter Kit from Justfog is an ultra portable pod system that is easily one of the smallest and most lightweight currently on the market. 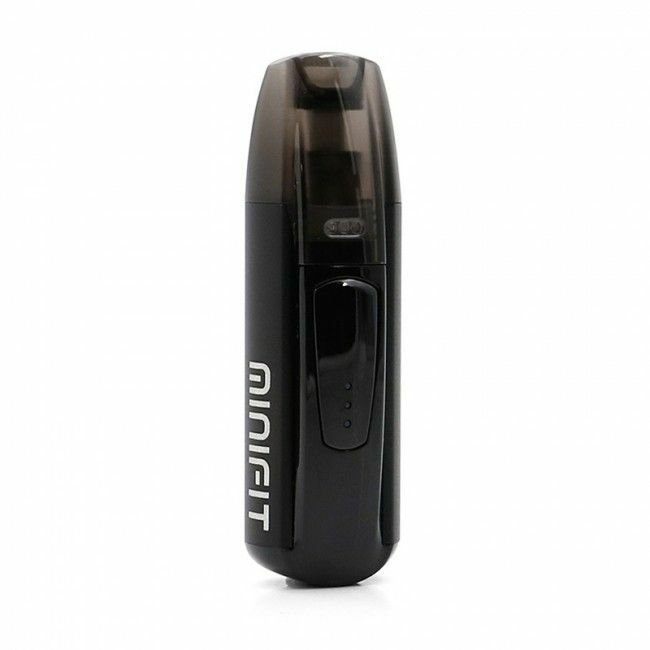 This compact pod vaporizer comes with a long-lasting refillable pod that can hold up to 1.5mL of your favorite high nic/salt liquid at a time for all day use. 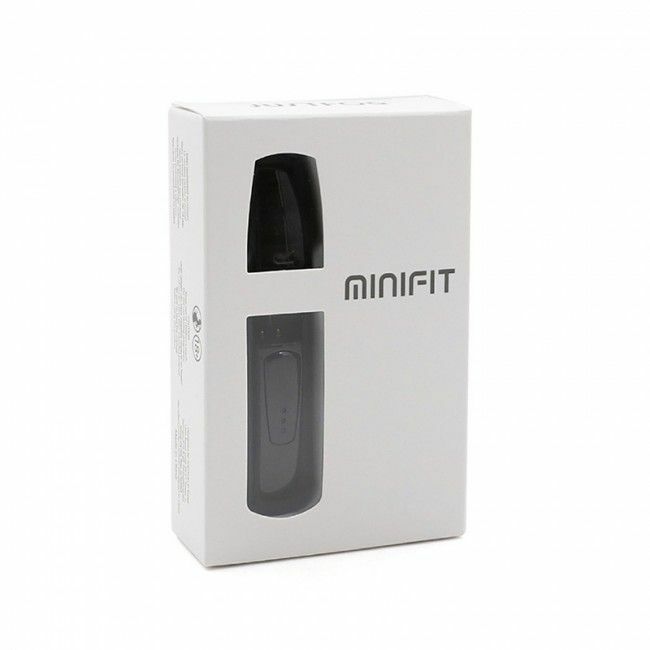 It is easy and safe to refill, the process takes just a couple of moments with no mess to clean up after. 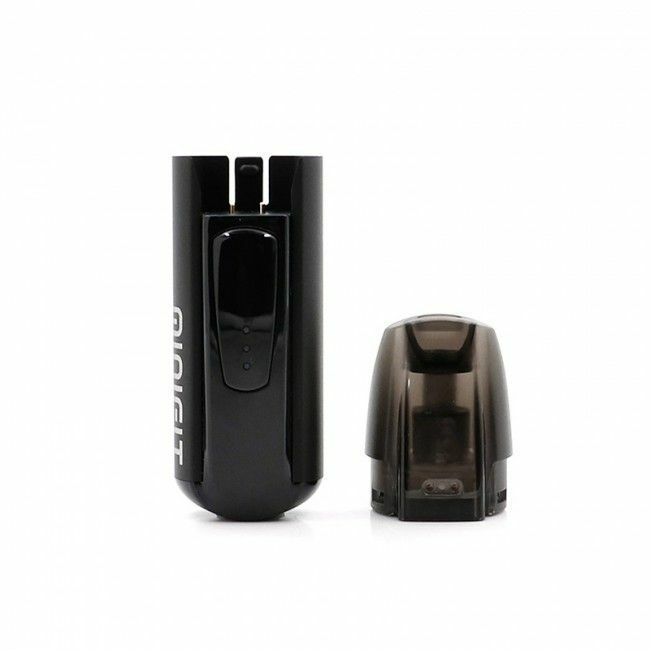 There is a hinged door on the base of the pods that swings open and when your finished it securely locks into place for absolutely no leaks. 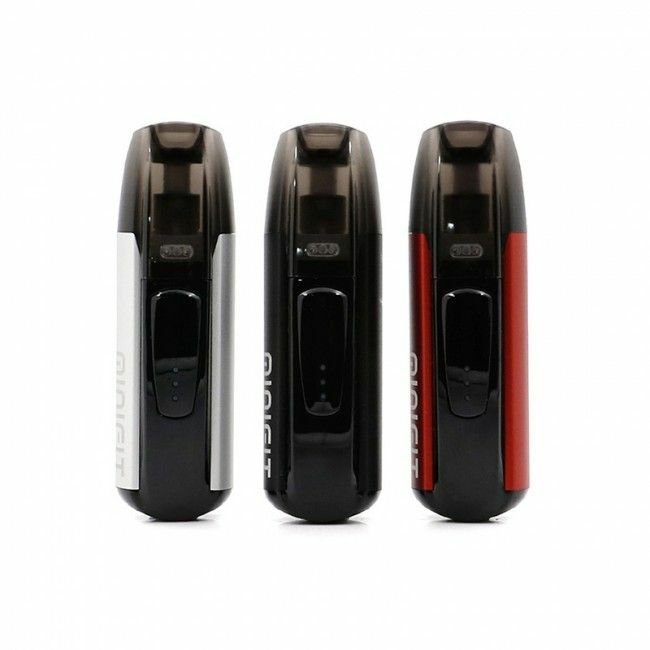 There is just one single button to operate the device, four rapid clicks powers it on or off and a long press/hold will heat the pod for up to 10 seconds at a time. 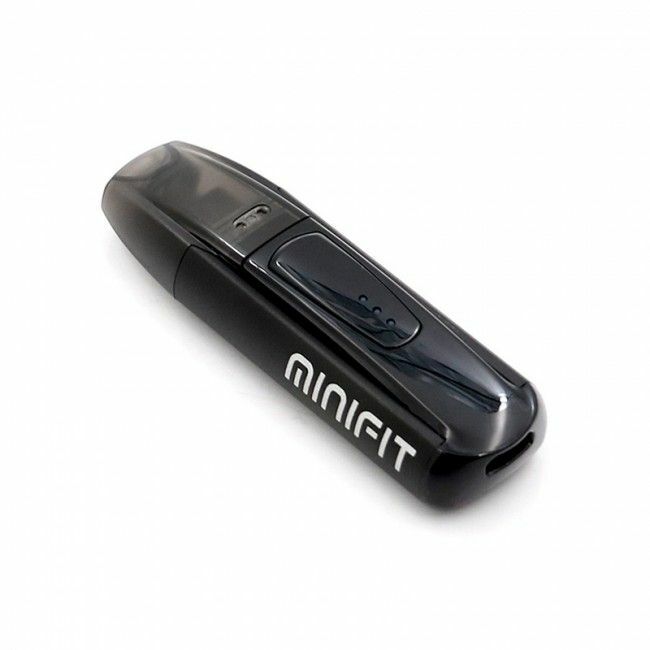 Beneath that control key there is three LED light indicators that will shine white while the vaporizer is in use. 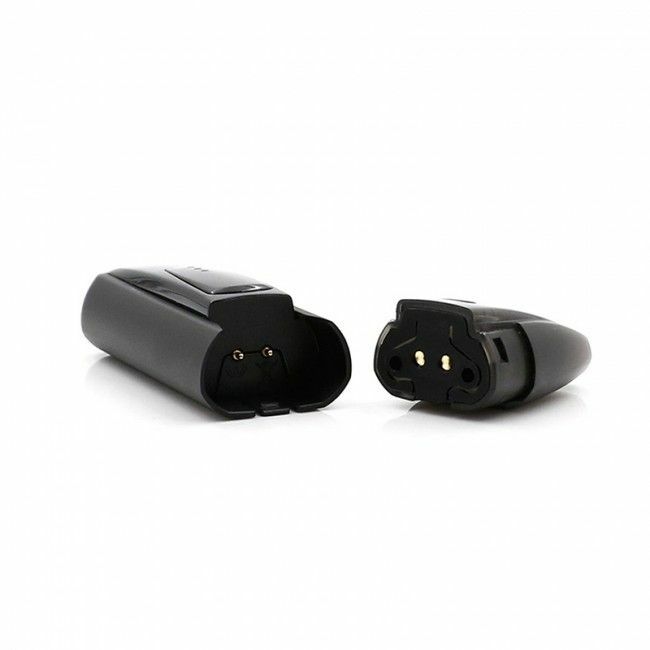 These lights also indicate the current battery charge, on a full charge there will be three solid lights and when it eventually dies out you will see just one flashing 6 times.